We source Albariño and Cabernet Franc from the following three vineyards in Northern California. Each vineyard experiences a significant diurnal shift in which warm days are moderated by cool afternoon breezes and dramatic temperature drops at night. This fluctuation means that summer temperatures can climb up to 90+ degrees during the day and drop to as low as 40 degrees at night. This nocturnal cooling-off slows ripening and preserves acidity. 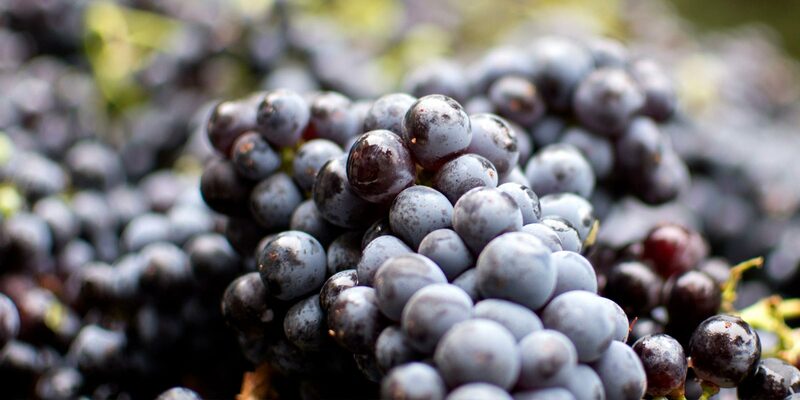 Ultimately, this intensifies the grapes’ flavors and allows us to produce wines with natural balance. Our approach and winemaking style is to let the grapes, and their unique vineyard origins, speak for themselves. This rare geological gem sits high in the Sierra Foothills outside the old mining town of Murphys. 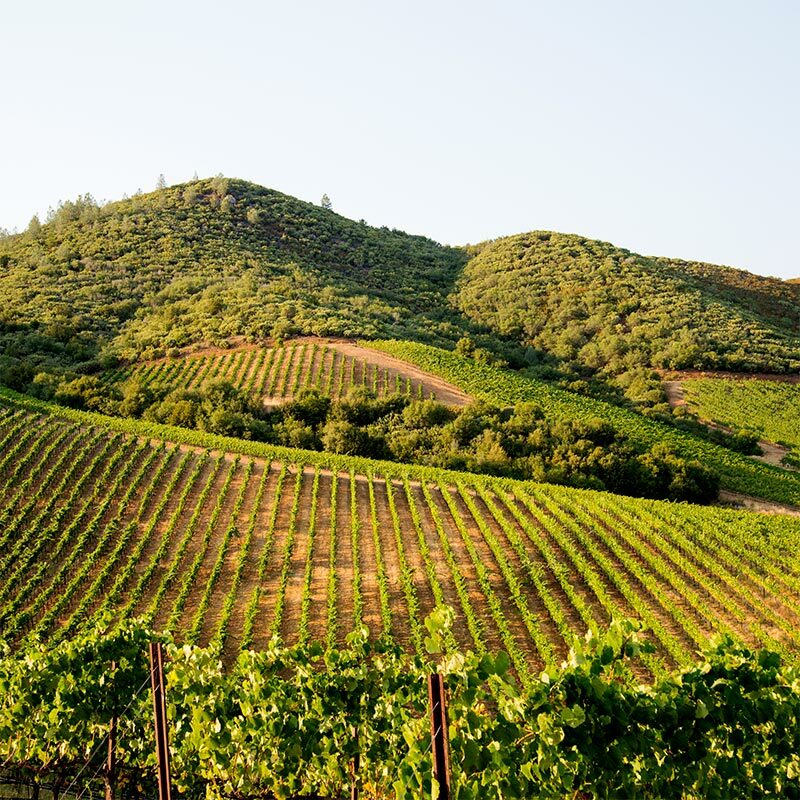 Located in Calaveras County, this 2,000 ft. elevation vineyard has limestone-rich soils and steeply-planted vines. 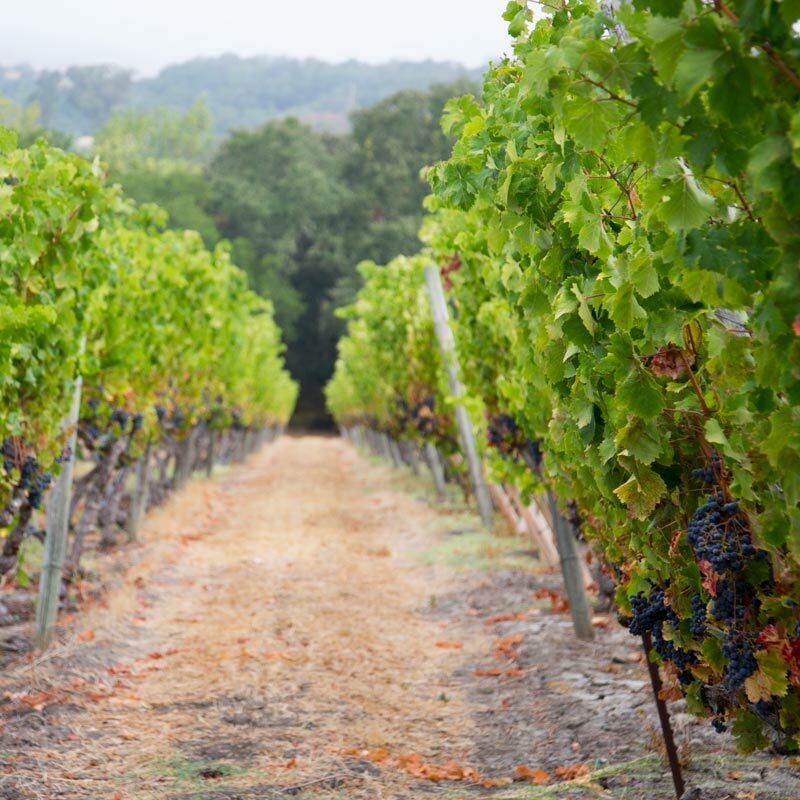 There are approximately eighty-six acres planted to a wide array of grape varieties – sixteen and counting! Diverse sun exposures, elevations, temperatures and soils provide a myriad of ideal microclimates for each grape variety. Grape Varieties: Albariño, Chenin Blanc, Pinot Gris, Picpoul, Mondeuse, Trousseau, Verdelho, Grenache, Chardonnay, Tempranillo, Mourvèdre, and more. Soils: Schist, limestone, quartz, mica. Situated on the rolling Northern hills of Sonoma Mountain, this vineyard was originally planted in 1982 on AxR1 rootstock. Not wanting to see the vines succumb to phylloxera, the surgeon owner carefully approach-grafted a resistant rootstock in 1994. The vineyard’s unique split trellising helps spread out the crop and maintain small clusters. The soils are primarily gravelly loam with some volcanic rock. At 700 ft. elevation, the hillside location helps protect from spring frosts and allows for cool, foggy nights. Grape Varieties: Cabernet Sauvignon, Merlot, Malbec, Petit Verdot and Cabernet Franc. Soils: Gravelly loam with volcanic rock. This family-owned vineyard is nestled in a windy corner of Southeastern Contra Costa County with sweeping views of Mount Diablo. Located in the small town of Byron, once renowned for its natural hot springs, this sustainably-farmed vineyard is essentially at sea level and has clay loam soils. While the summer climate can be warm, winds coming off the Sacramento Delta keep the grapes cool during the growing season. Grape Varieties: Petite Syrah, Barbera, Cabernet Franc, Zinfandel and Mourvèdre.